Nostalgia, one’s desire to be brought back to the past when everything seemed so perfect, beautiful and exceptionally sweet. 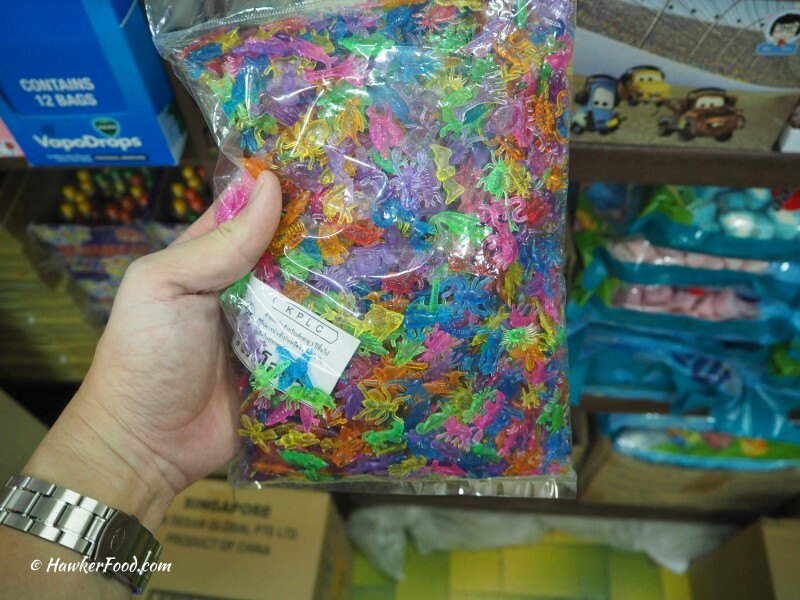 A few months back, yours truly ventured into Bedok North Street 2 in search of my childhood happiness….and what would that be? As if the picture could not tell, I was here in search of snacks that kept me munching with delight when I was just a silly young boy. The shop is none other than Teck Leong Lee Kee. 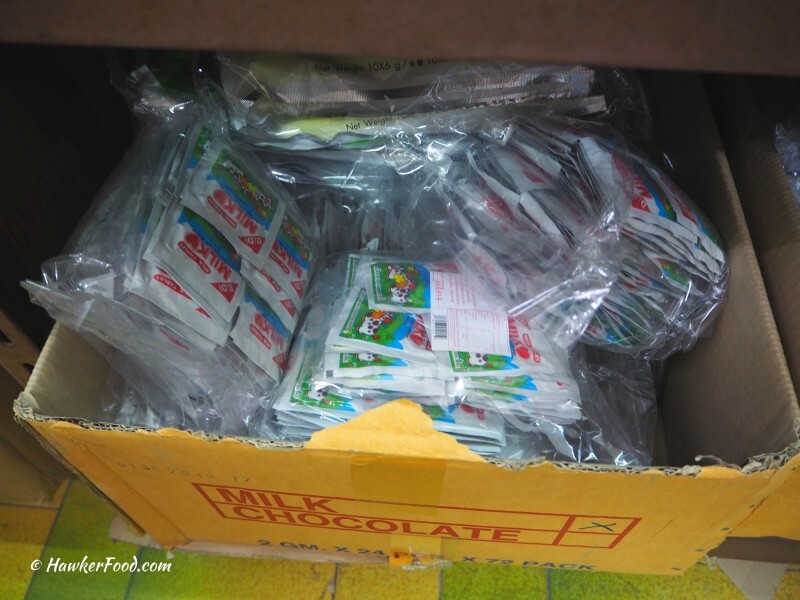 I was greeted with big carton boxes of a variety of snacks. 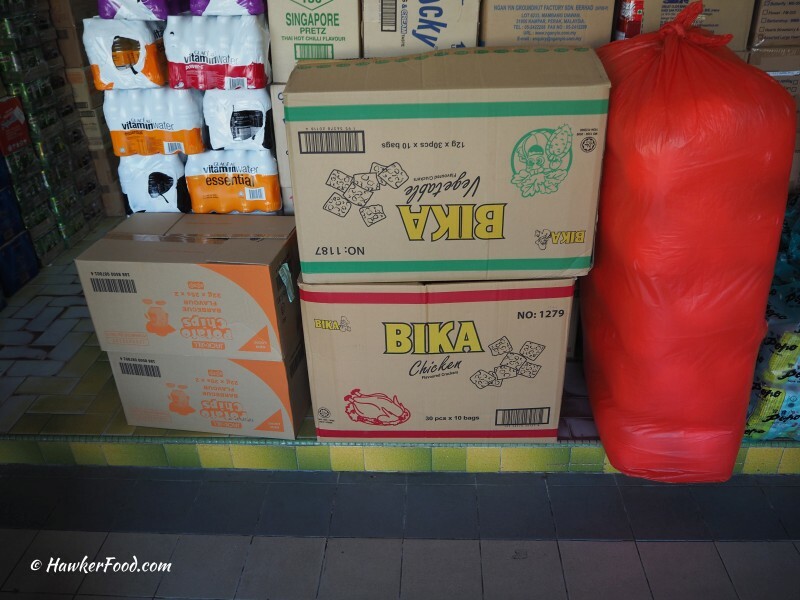 Bika Chicken, I remember as a kid, the packaging always gave me the impression that they stuffed a chicken into the bag or a whole chicken was required to make a pack of chips. 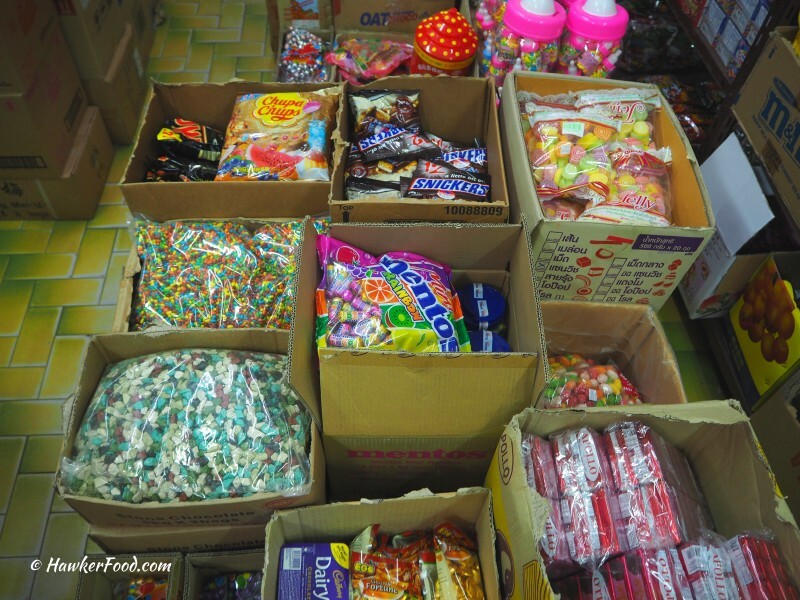 Once you enter Teck Leong Lee Kee, you will be mesmerized by the variety of snacks and candies they have in store. 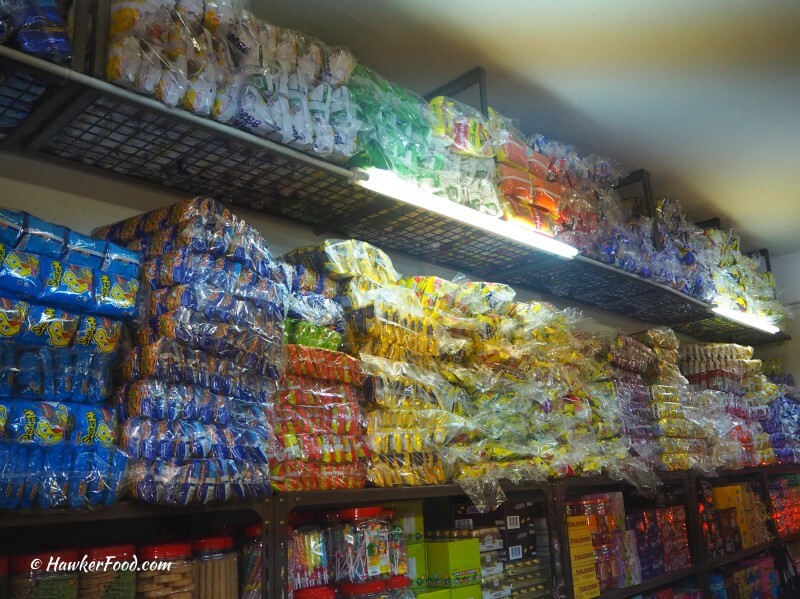 Oh, I happened to see the durian chip snack right on the top shelve. 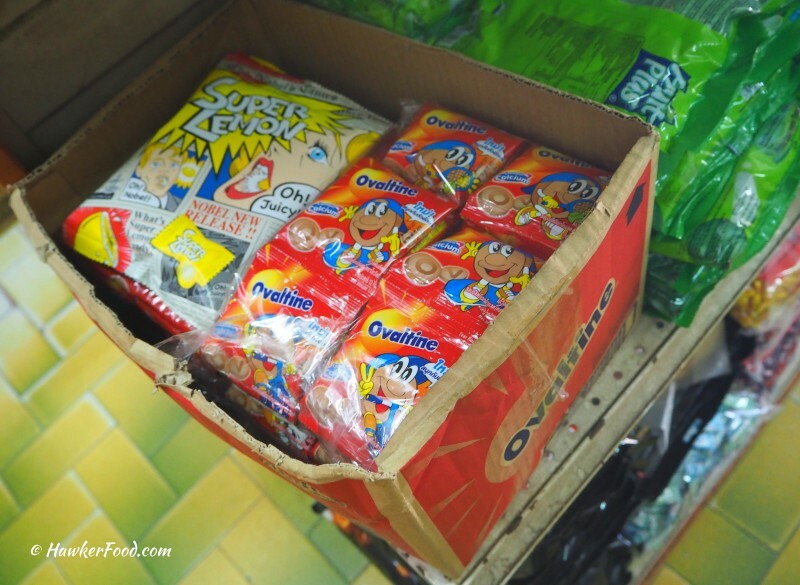 If you can spot it, it will probably mean you are as “young” as me and the imagery and colour scheme of that snack remain etched in your mind since time immemorial. 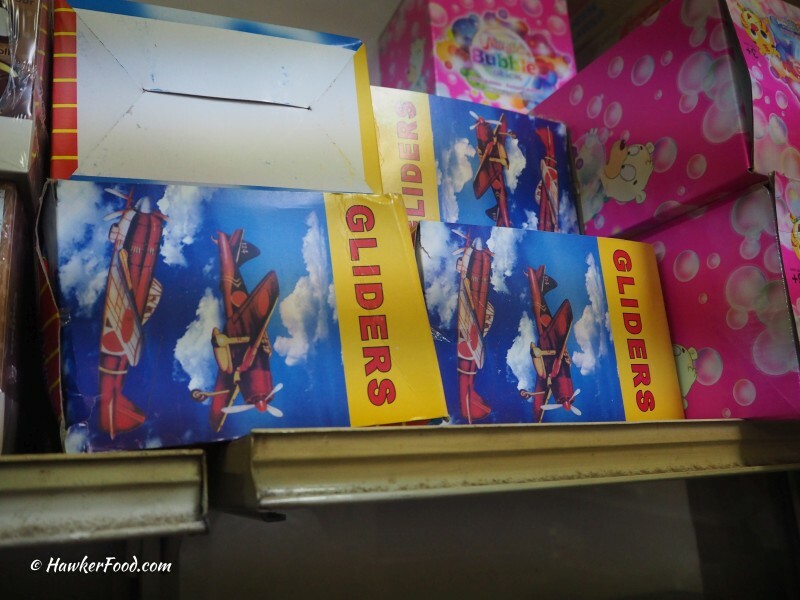 You can find uncommon old school stuff here as well as evergreen products that are also available for sale in major supermarkets and mini-marts. You must have noticed everything here seems to be in huge packs and large boxes. 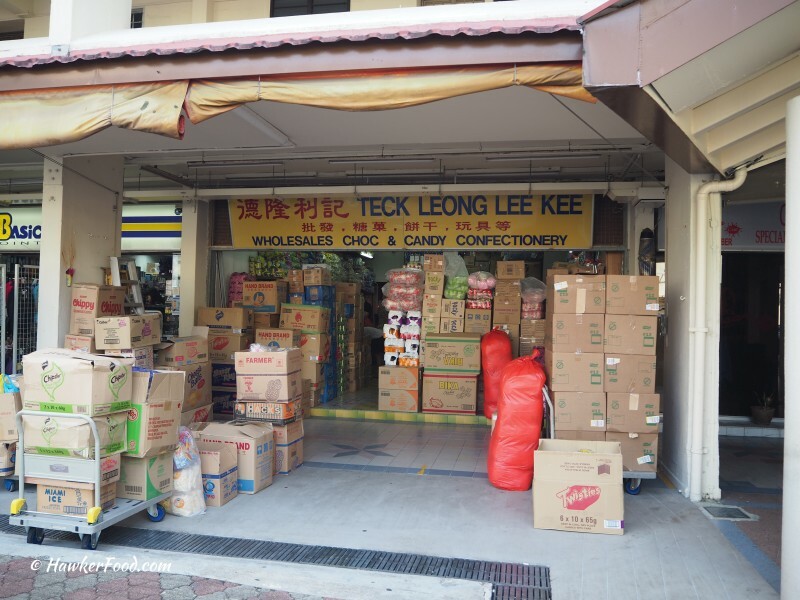 That is because Teck Leong Lee Kee is mainly a wholesaler but they do welcome walk-in customers as well. Items have to be purchased in the minimum quantity that they designate for each product. 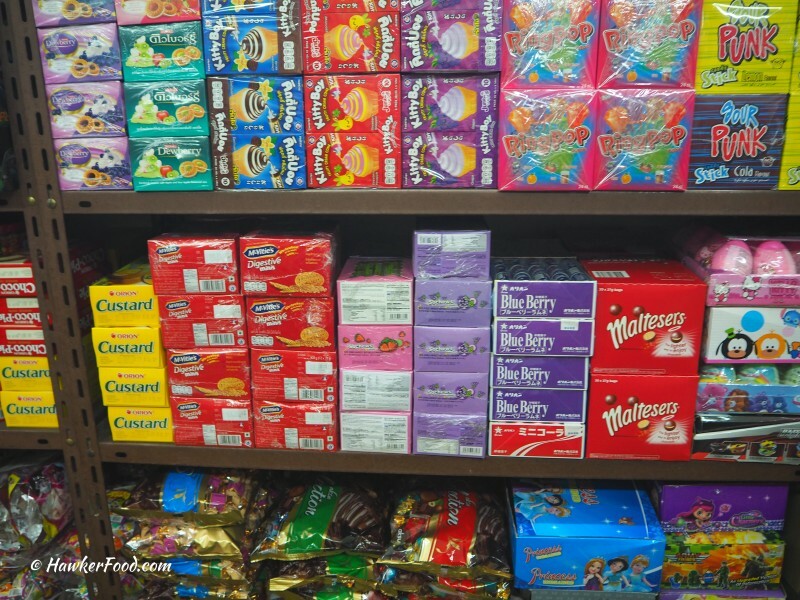 As you peruse the snacks and candies, it will almost feel like you are seeing old friends and they are macam saying “hello” to you. 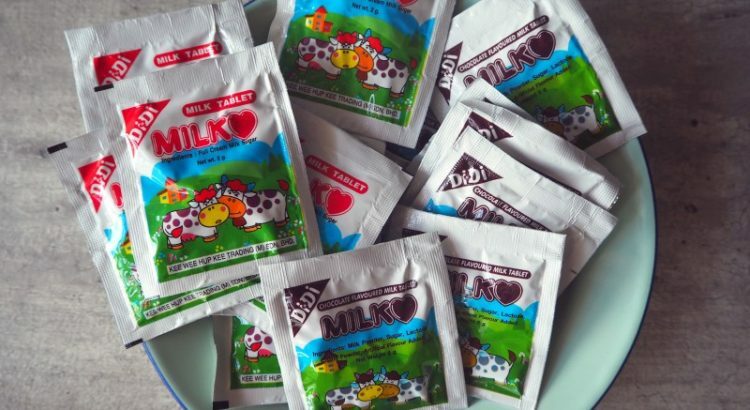 Here, I say hello to my favourite milk tablets candy during my primary school time. 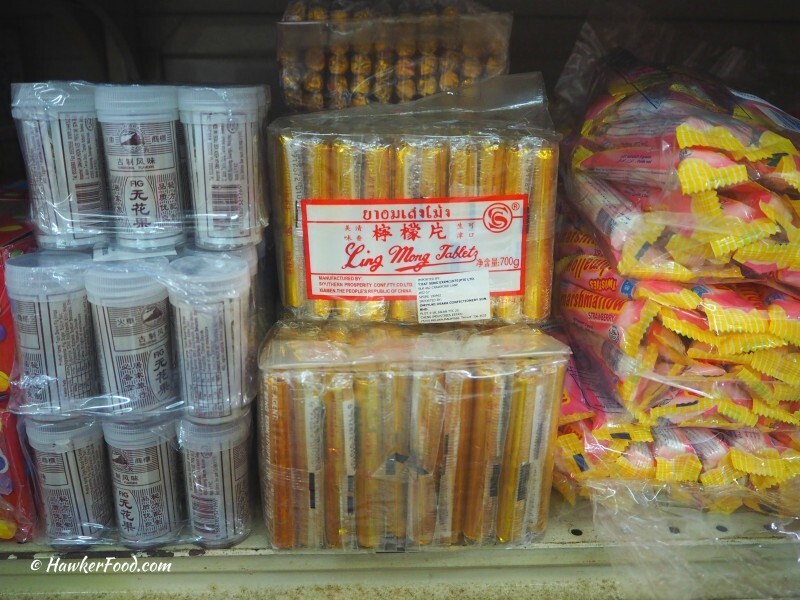 Bird egg candy, what a name! Did not even know it was called this name when I was young. These candies were my to-go sweets as a “poor man’s version” for Cadbury mini eggs. Not that they taste the same, it is a world of difference but they do look the same. Anyone reading right now, if you had bitten this candy (thinking it was the soft Cadbury mini eggs chocolate) and suffered toothache from it. YOU are not ALONE!! Back in the 80s/90s, what did you do with your last 10 cents? 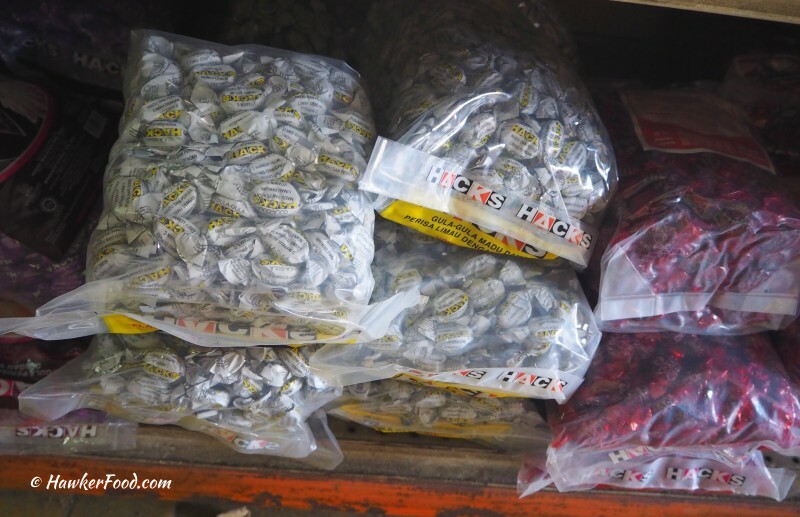 Buy 3 pcs of Hacks Sweets?? High Five!! Now as I write, I kind of miss the grape/blackcurrant flavoured hacks in yellow wrappers…..now they are in purple wrappers. Or was i just missing the yellow wrapper?!? And………….when you are down to your last 5 cents, what would you buy???? Ling Mong Tablets!!! I have this memory of my younger self going to a Chinese medical hall near my old place in Toa Payoh to buy the tablets with literally my last 5 cents. The 无花果 (fig) snack on the left is also very addictive. 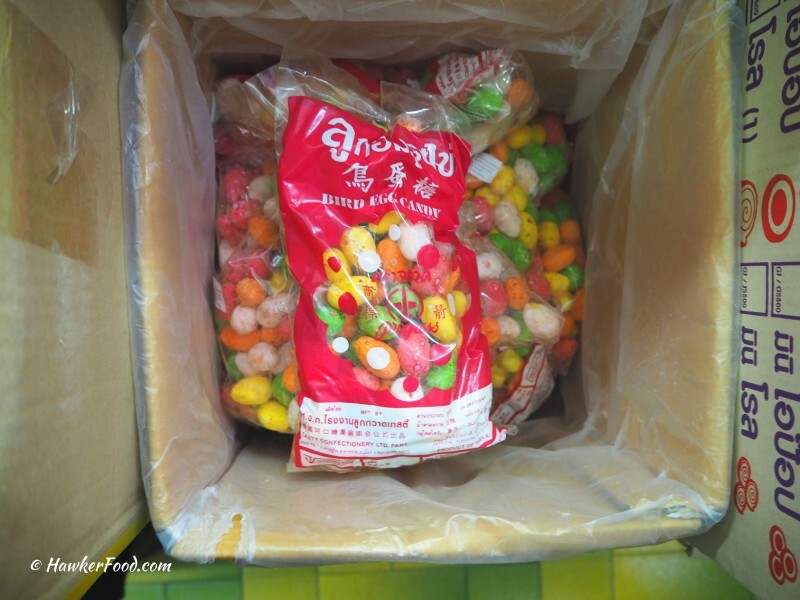 Lao Beng always finds himself picking and eating non-stop till there is none left. 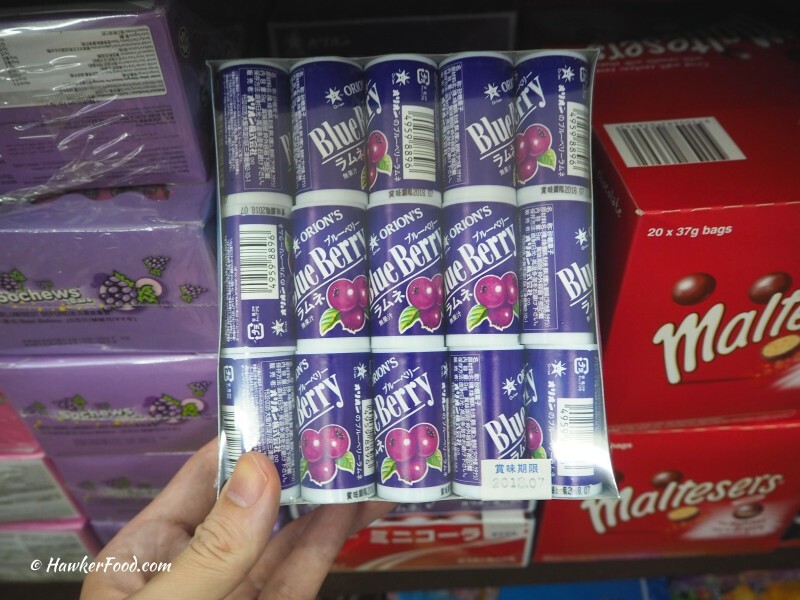 Instant salivation when I saw this Orion’s blueberry candy and I really wanted to buy it but lo and behold…. 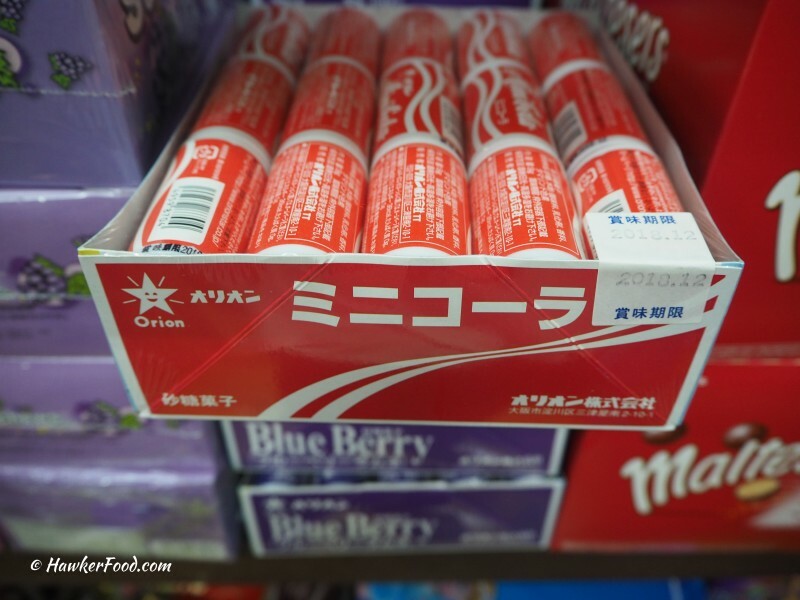 Orion’s Cola Candy! It seemed to be a popular choice since the stock ratio of the blueberry flavour to the cola flavour is like 3:1. I told myself I must get this! 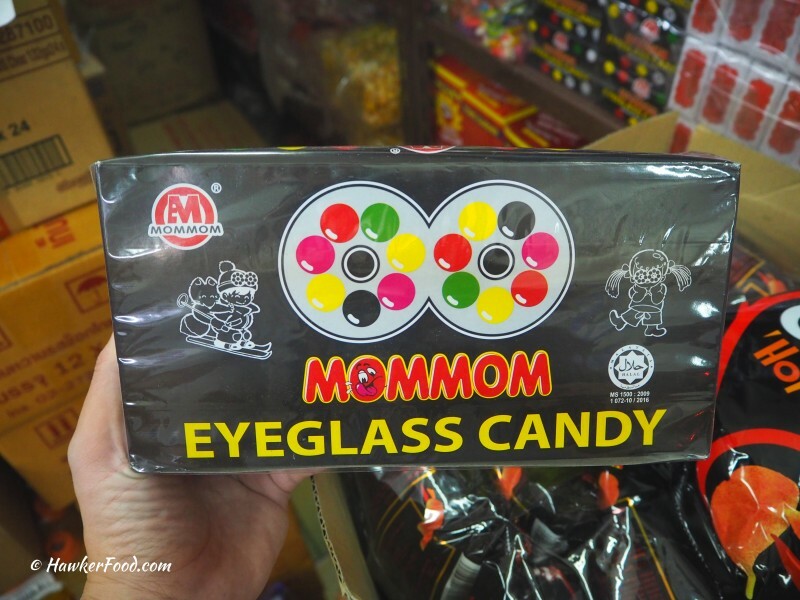 Who needs an eyeglass when you have eyeglass candy. 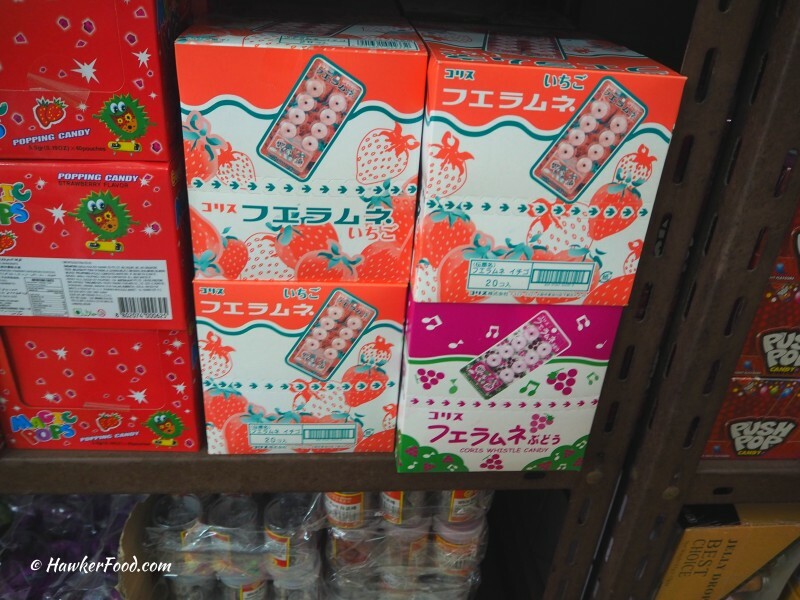 Just like the Orion’s candies, I was excited to see the Coris whistle candy as well. 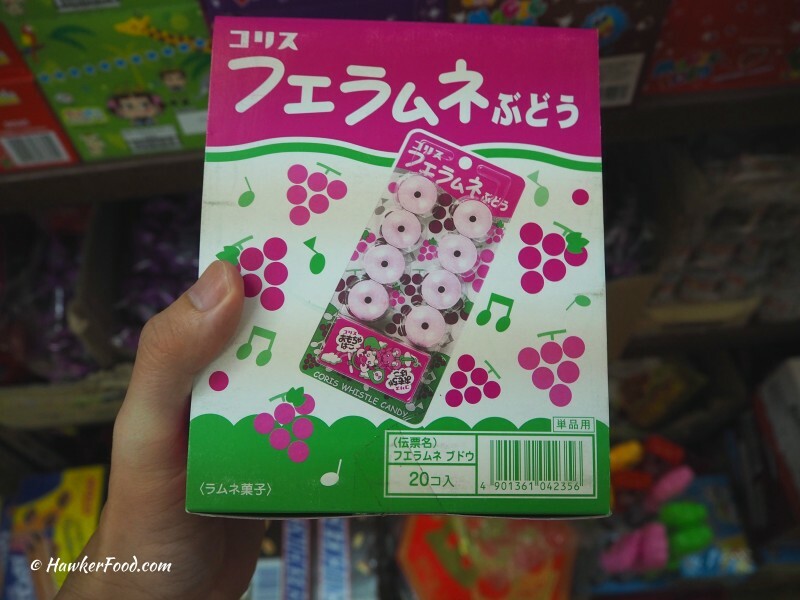 Super tempted to buy the grape flavour Coris whistle candy but decided against it as I was already getting the Orion’s cola candy. The Apollo chocolate stick wafers was not my favourite flavour when I was young, strawberry was my flavour of choice. 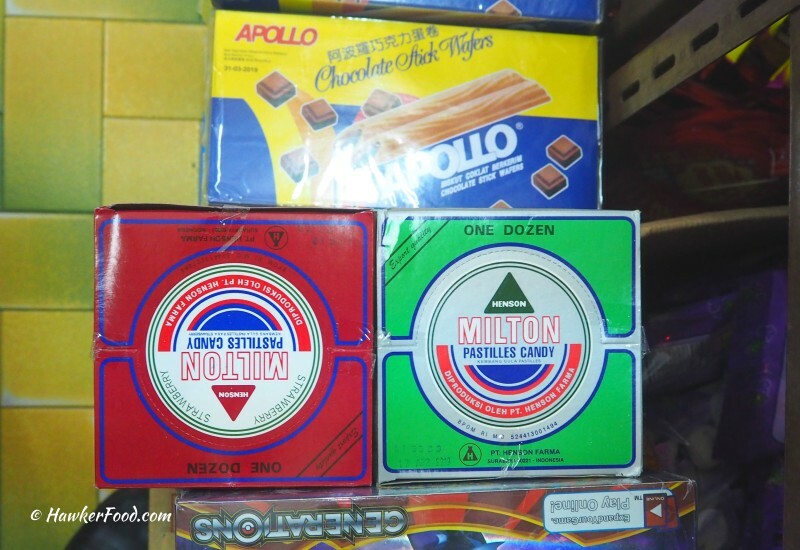 As a young kid, I frequently purchased the green Milton pastilles candy as I found it soothing and nice tasting. The triangular shaped candy was very unique back in those days. And who can forget the malty-chocolatey taste of Ovaltine tablets?? Finally saw the Bee Bee snacks that I wanted. The spicy crispy snack remains one of my favourite cheap snack when I do not have the dosh to buy my favourite Kettle chips. 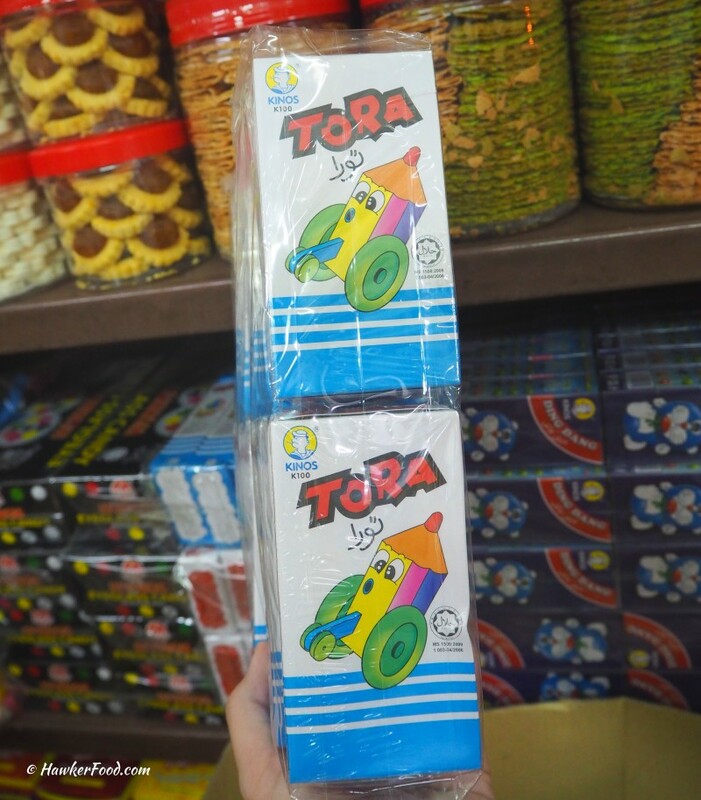 The same goes for Tora, I believe in the past Tora was like double the price of Ding Dang and also had a mystery toy in them. 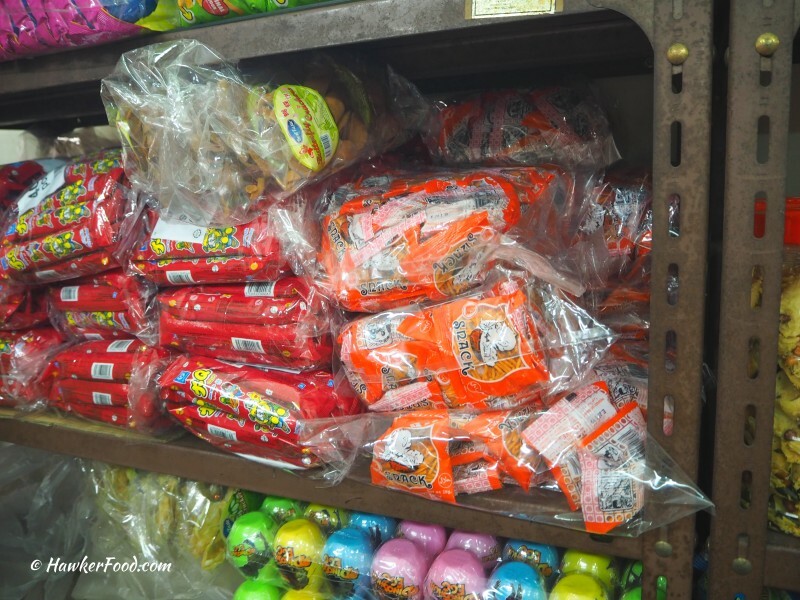 They have kuti kuti as well but I did not play with them when I was young. However, I played another game similar in terms of the rules. What else? Flag erasers of course! 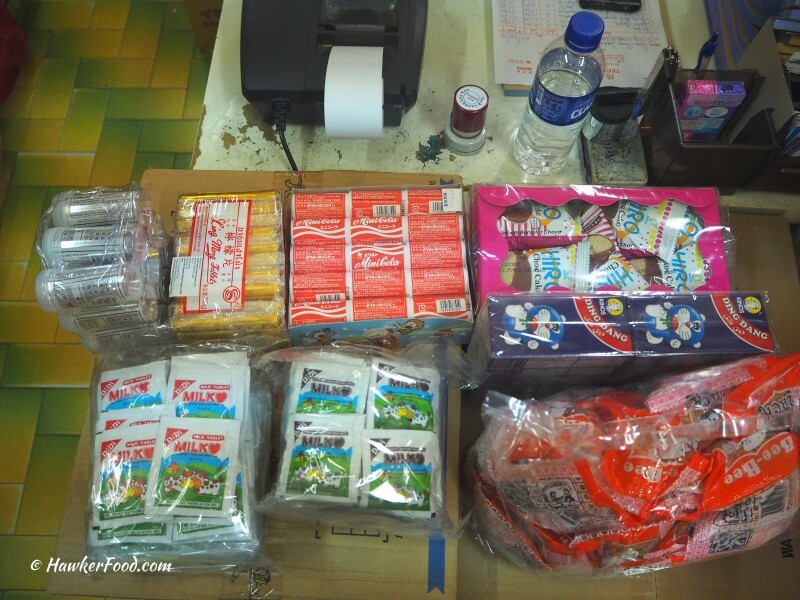 Well, I distributed some of these snacks to my friends and colleagues. Some were well reminded of their childhood while some gave me the “This is “simi” kind of look. Some commented certain snacks tasted similar just like before and some other snacks tasted different and were not exactly the same as last time. I concurred with them. 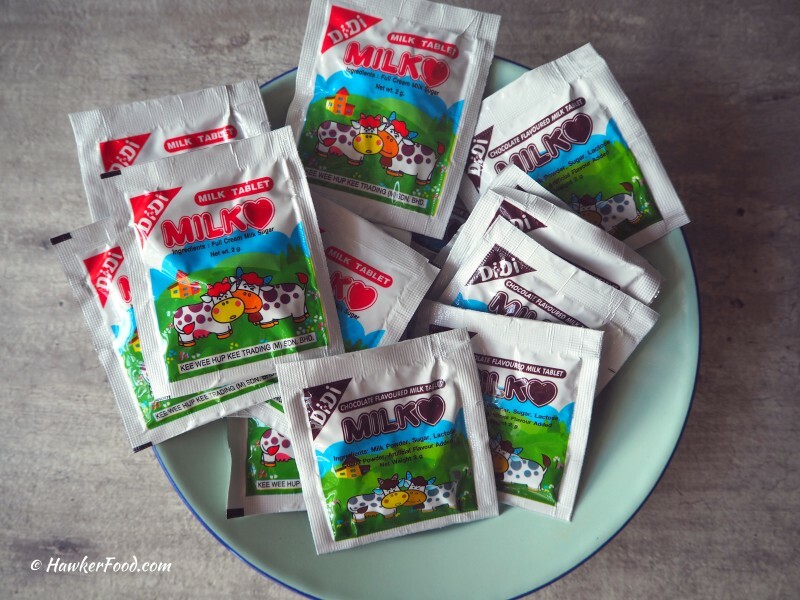 Take for example the milk tablets, as a young boy who did not have money to buy milk to drink; these tablets were tasty and wholesome. Now, it no longer tastes as wholesome as before. However, it did give me some nice memories while tasting them. At the end of the day, things are always better in the past, right?!? 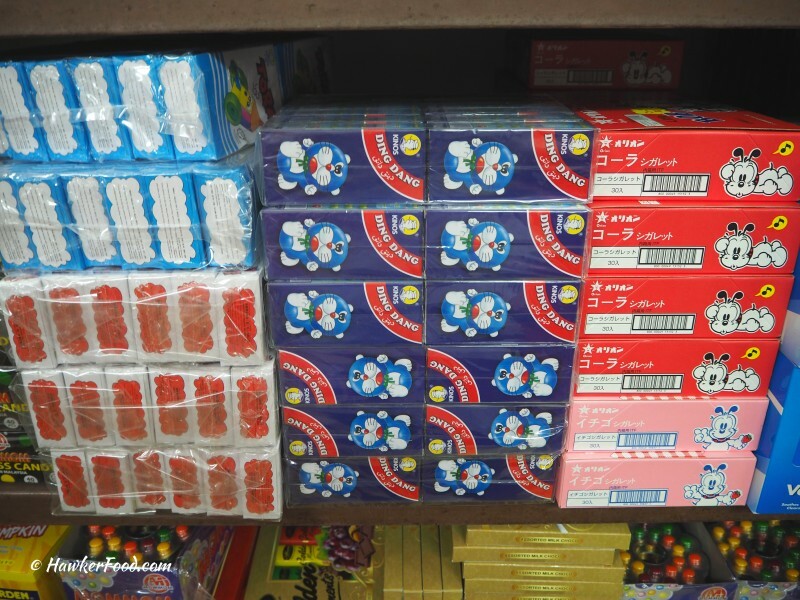 Teck Leong Lee Kee is more of a wholesaler and If you are going to have a retro theme party for old school people like me, do give Teck Leong Lee Kee a visit. Or you can simply email/call them for the price list and place your bulk order and enjoy delivery with a minimum purchase. They serve walk-ins as well and it is important to check their website for updated opening hours. The last time I visited, the opening hours were very short, but they have since extended their opening hours, so do check on their website https://www.teckleongleekee.com.sg/ for the latest information. Opening hours: Please refer to their website for updated opening hours.